Traffic is the key to running any online business and most important is getting targeted traffic. 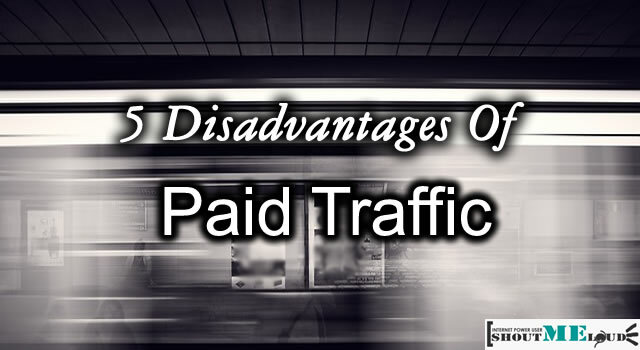 Today, I will outline some of the disadvantages of Paid traffic for your blog. Though, at times for some businesses Paid traffic works great but as I mentioned above, targeted paid traffic can only worth your money. Every offline business is working on their online presence in the form of Websites, Blogs, Social media profiles and what not. 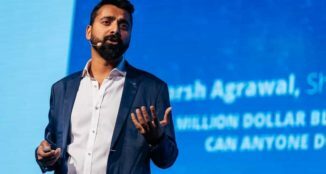 Though, the problem with most of them is being a part of offline business, they can’t really work online much and that’s why they go to the route of buying Traffic from many traffic selling websites. 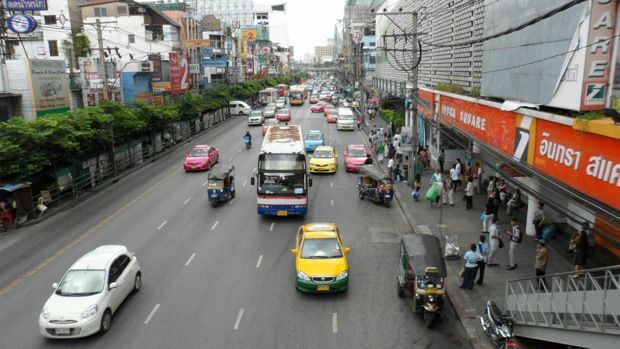 This way, their business is viewed by many people and in this process some of the traffic converts into customers. Sounds, so simple and people actually fall for it. 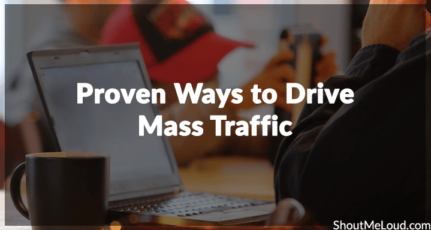 Though, they forget to see the fact behind this traffic is, you might be getting bots, might be people who are getting paid to surf are viewing your sites or may be some random visitors bump on your online business site. So, what’s your mistake as business owner? Honestly, nothing apart from the fact you are spending money on untargeted traffic. When you buy traffic, instead of using those pay to buy traffic site, there are many useful paid traffic sources like advertising on Facebook ads, Google adwords, use Stumble upon advertising, many CPV sites like DirectCPV, Tribal Fusion, are useful to get more targeted visitors. This is when, you are getting promised no. of visits on your Website from different location. This could be bots, paid to surf people, random demographics. In simple words, you are selling “Baby-kits”, what a school or collage kid will do by landing on your site? This is what every business owner should look forward to. When we say targeted traffic, we talk about getting visitors from your target demographic. For example, I give “Social media consultancy for Businesses”, what will I do by getting visitors from age below 25. Simlarly if my business geo boundaries are set to Australia only, my target is to get more traffic from Australia, instead of any other country. Like Targeted advertising, paid traffic gives targeted real-visitors, according to your business need. 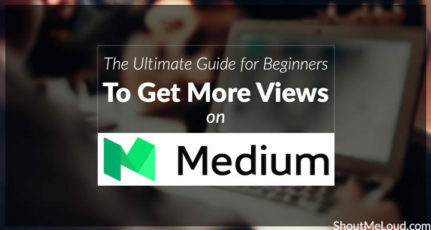 Now from the Bloggers, point of view, you can always work on traffic and if you are running a contest or some kind of promotion, or going viral, paid traffic are useful at times. Paid Traffic are not bad, but some are pretty much useless other than to inflate your Stats. Here are certain things, which you can avoid when buying traffic for your Website or blog. When you buy traffic in masses like for example at 2$ for a thousand views from unknown websites, you will see that your Blog will have an increase in bounce rate , which means that people will only visit your site homepage or which ever page you bought the traffic for and leave, they will not bother to check out another related page as the people or bots that visit your blog through this method have no interest other than the fact that they are being paid to surf. Also you will see that the Time people spend on your site decreases as they really do not want to be on your site and are not really looking for the product or service you are providing. One simple example is, Stumble Upon traffic. Which gives immense traffic but bounce rate is always high. If you are offering a product or a service for sale on your website and you get traffic through un-trusted sources through a paid traffic program, you can be sure that you will not get any sales of your products and services.These people are paid to surf, they are doing time consuming work of visiting thousands of websites for a small trickle of money, you think you will get even one sale? 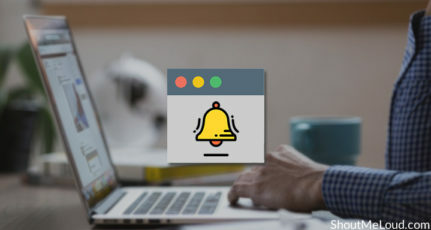 If you run Products and Service based site, then do not waste your time on these kinds of methods to gain traffic, instead use adwords, Facebook ads, Tribal Fusion, Stumble Upon advertising, DirectCPV and so on, which can give targeted traffic for your business. If you run an information based website or blog, or buying traffic to your landing page for Email subscription, then you will see that paying for traffic from unreliable and un-targeted sources will not convert into subscribers. If you run this kind of a blog or website, getting new subscribers who like your content and want to read more, should be your goal. But with this kind of traffic, your one time visitors to readers conversion rate will be too low. Specially, when you get into PPC advertising model, where you pay when some one clicks on your ads to visit your page, you need to work hard on optimization. This starts, from working on making your ad visible to targeted demographics and making your landing page targeted for one time visitors. Failing into any of the expect will again decrease the conversion rate and you will never get value for money. You can always hire some social media company or online websites which work on targeted advertising on social media and Blogs. You can discus about their strategy for getting your target audience to your business and how to go about it and which channel to approach. Some time, Google Adwords is more viable option than Facebook ads. Again, it depends on your advertising campaign. Many Webmasters use to create websites based on high CPC paying keywords and used to buy web traffic from sites or via PPC advertising. This become an issue for Adsense advertisers and other ad networks. Google adsense started taking this seriously and they consider it as Adsense violation. In most of the cases, when you buy paid traffic for your Adsense enabled blog, most likely adsense will ban your account. If some one is sending paid traffic to your site, you can always report the same to Adsense team using this form. This does not only apply to Adsense, but also to the other top paying advertising networks such as Yahoo Publisher Network, Bright Roll Etc.I just took the example of Adsense to show you that these kinds of Traffic can land you in trouble in terms of monetizing your site. Nothing can be as great as getting targeted visitors from search engine. Targeted visits convert into sales and it works the best. If you are running a static site, you can add a Blog and take advantages of it’s SEO feature and get free visitors from search engines. 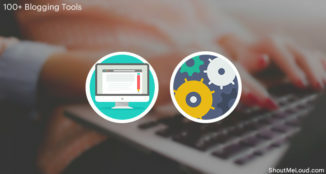 I would suggest, use WordPress as your business site and you can learn why here: Benefits of WordPress for Online business. 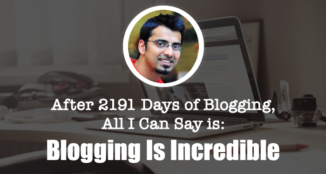 You can always take advantage of WordPress services to set one such profitable blog for you. You can also check out WordPress guide to get started with your business site on WordPress. If you are not much into giving time for a blog, you can hire a freelance writer, and make them do guest posting on behalf of your business. In the byline, they will link to your Website on various sites they are guest posting. (Guest posting sites). This not only help in improving your SEO, also you will get visitors. 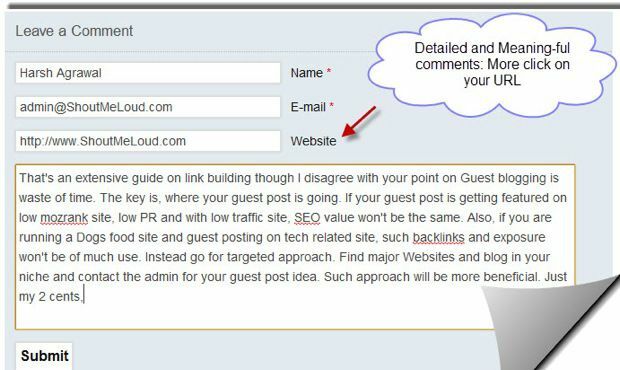 Make sure, all guest post should be relevant to your business and goes to targeted niche blog. Make sure, you publish only quality stuff related to your niche to create an authority and link your social media profile with your Website. Make sure to maintain an Email list and give your readers a space to interact. 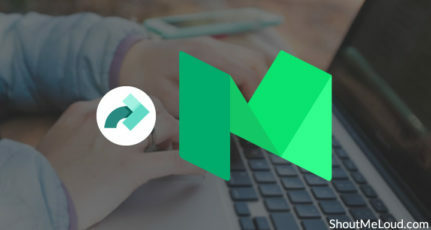 You can use blog post for soft-promotion of your products. I have combined both of them because here purpose is going for branding and getting traffic through it. Create as an authority in your niche. Most of blogs offer comment and you can add your Website URL in comment field. You can take advantage of this, Google about your target topic and if there are blog posts and have commenting feature, comment on it with your name, URL and Email. Make sure you are signed up for Gravatar, so that your profile image will show. You can use service like Dropmylink to make targeted comment. Similarly, create a Facebook fan page, Twitter profile and Google+ page for your website or online business. Use it to interact with people, share useful information related to your niche. If it’s a business website, don’t go over whelmed and start promoting stuff from your competitor. It’s a good idea to share useful info, but not at the cost of hurting your own Business is int it? When we talk about Blogging and Websites, free traffic is more or less dependent on search engines (SEO) and subscribers. And if you are failed with both of them, all your investment will go down. Video marketing is in thing and Youtube being a part of Google, always get an advantage. You can hire many videos around your business niche and promote it. For example, if you are running a restaurant business, you can create videos showing how your restaurant works in background, Dishes menu and many stuff along with it. This will help in more branding options and since everything will be in-house, your investment will be a just a good video recorder. Make sure in description, you at-least talk about your brand and you can refer earlier guide on using Youtube for traffic. In my opinion, Blogging and mixing it with social media and You-tube is most effective and free way to get traffic. Though, it all depends upon your business model and what’s your plan for. If you are completely new to your company online presence, you can hire any Blog consultant and discus which online business model will work for you. Well, now I’m leaving it in your hand to add more value to this post with your comments. Do you think Paid traffic have advantages looking in the term of investment and ROI? Which all sites you recommend for getting targeted paid visits? Well! If if adsense has really started considering paid traffic as a violation of their policy, does the same thing applies with Google Adwords? I believe Google might not enjoy the PPC campaigns with other companies. But for Adsense, Google might not want to discourage one service for another.